A wonderful collection of top 20 popular "Bring A Book For Baby Shower" party announcements, which you can easily personalize in minutes. 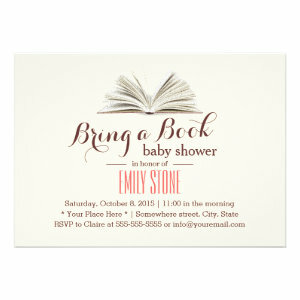 These Bring a Book Baby Shower Invitations are a lovely way to invite guests to your celebration. 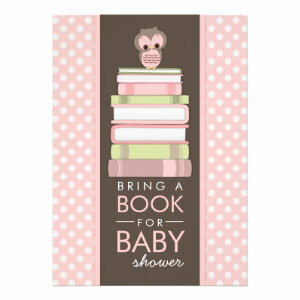 'Bring a Book' Baby showers are a great idea. Guests bring either a new book or one of their favourite children's books to give to the new parents. It's a lovely way to encourage reading and to experience the books your family, friends and loved ones may have read when they were children. 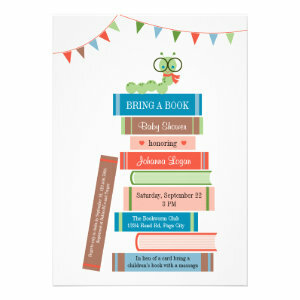 These 'bring a book' baby shower invitations are fun and super cute. 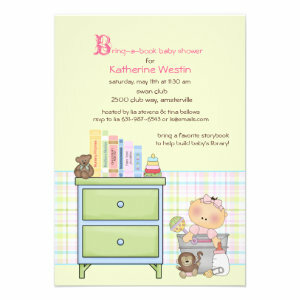 Find vintage bring a book invites, Alice in Wonderland invites, cute bear invites, and more. All of the baby shower invitations can be personalized. 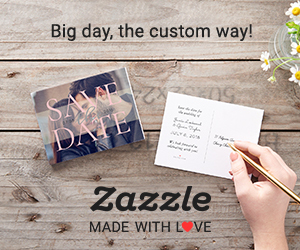 Simply enter your guests name and party details before changing, (if desired) the font, style, colour, and layout. You can also choose from a selection of paper types and finishes. 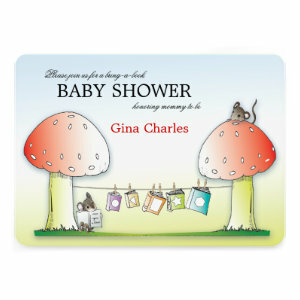 Have a beautiful fairytale of a baby shower with a Bring a book baby shower invitation. 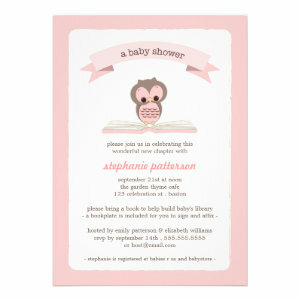 Find adorable baby shower invitations and announcements, with easy-to-personalize text and photos.